This Bride In Beige Looked Like A True *Royalty* At Her Wedding! Meeting a guy from a land far away, falling in love with him and finally getting married and living your happily ever after. Sounds so filmy and dreamlike, right? 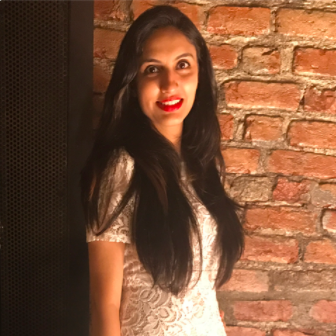 Well, this is exact story of Akshita Bagai, Senior Manager, Plixxo. Akshita met her now husband Rohin Bagai, on a blind date and they instantly clicked. He had just shifted back to India from the States, where he was born and brought up, and that is when their beautiful story started. 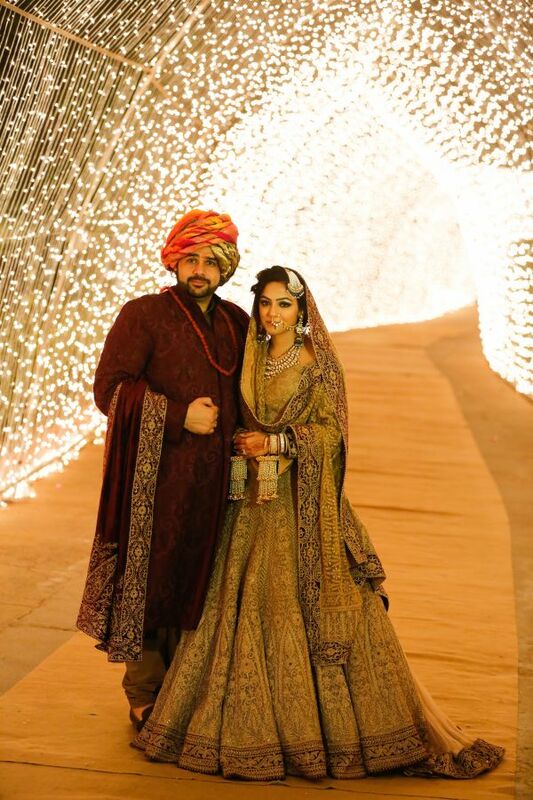 The two tied the knot on the 24th of November, 2016 in a beautiful ceremony in Delhi. 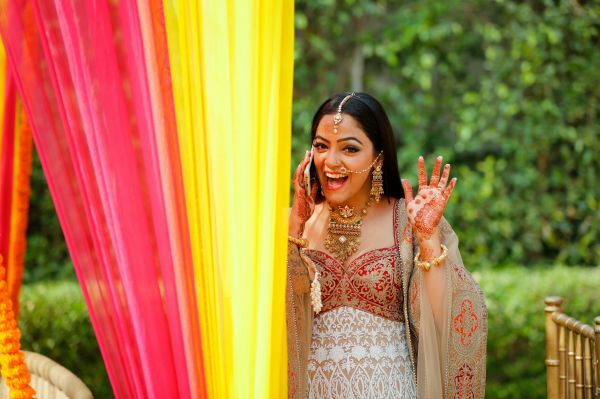 Unlike most brides, Akshita opted for subtle-coloured outfits for all her wedding functions. Even for her mehendi ceremony, Akshita picked a white and red Rimple and Harpreet Narula anarkali. 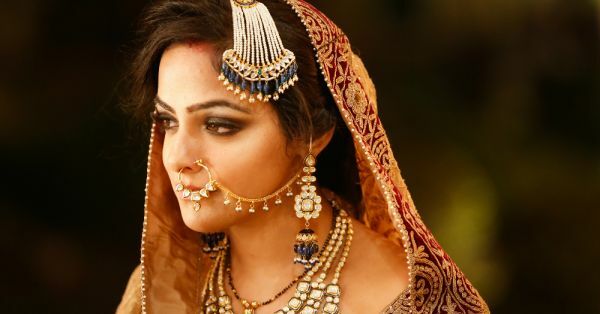 Her makeup was done by Jitin Rathore, who did a fabulous job of giving her the perfect look for a day function. 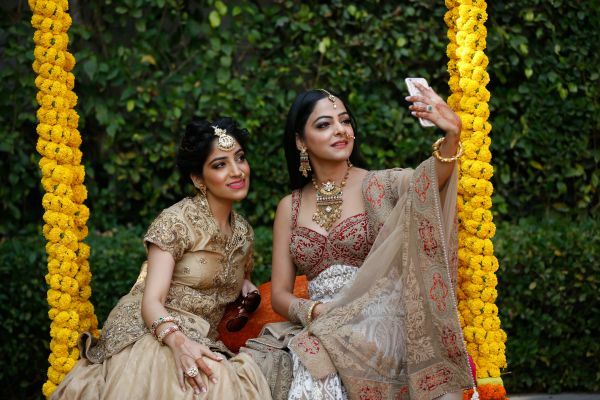 She accessorized her mehendi outfit with a statement gold set, complete with a nath and maangtika. The gold jewellery blends extremely well with the earthy tones of the outfit and we love the sleek, straight hairdo too. For the bride-to-be who would love to wear white at one of her functions, we found a Rimple & Harpreet Narula anarkali that is absolutely gorgeous. You can buy the chanderi silk outfit here. Akshita knew right from the beginning as to what she wanted to wear on her special day. 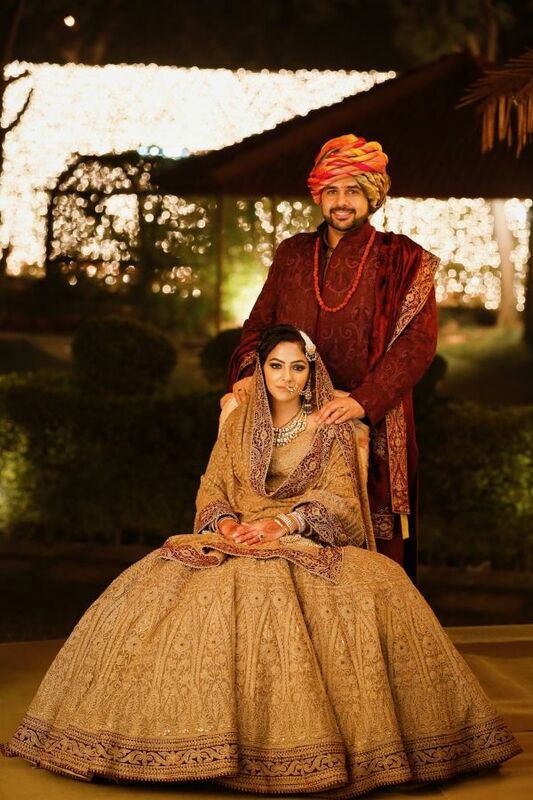 And we must add that the offbeat colour was not just a refreshing change from the traditional reds, but it really did make for a royal bridal look. Right from the moment she tried on her bridal outfit at the store, she knew exactly how she wanted to style it too! Loved her outfit? Here’s another sand beige peplum lehenga that’s perfect for the winter bride. The Rimple and Harpreet Narula outfit, with it’s subtle beige-gold shade and a maroon border worked really well for the bride. Adding a pop of colour and contrast to the look was Akshita’s jewellery. How gorgeous do the blue jewels look?! Looking for a similar passa for your wedding day? We found a kundan and pearl tassel passa with green enamel that’s absolutely royal. Buy it here. “I wanted a Pakistani look for my wedding, so I styled my outfit myself even on my wedding day. I even instructed my makeup artist, Jitin Rathore and hair stylist about how I wanted my look to turn out. And, it was exactly what I was hoping for,” she shares. Ask her why she picked such earthy and subtle shades for both her functions and Akshita is quick to answer. “My taste is very subtle, and I tend to incline towards lighter tones like beiges, whites, cream and pinks. Incidentally, when I entered the store, all the outfits that I liked were of these shades. People usually pick bright and blingy wedding outfits, which later become useless. Since I picked something so subtle, I actually got to wear it again too! In fact, I got my money’s worth by doing so!”. A nath adds all the royalty and charm to your bridal look. If oversized is not your style, here’s a simple and elegant design that you’ll love. Buy it here. We wish this gorgeous couple all the love and luck in times to come. 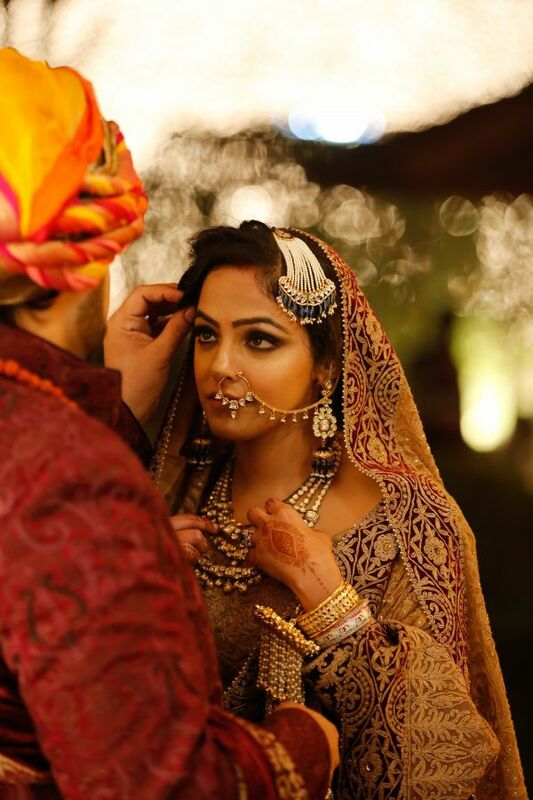 And if you’re, just like us, crushing on the bride’s smokey eyes makeup, here’s a quick tutorial to on how to achieve the perfect smokey eyes look. Because whether you’re getting married anytime soon or not, nothing should stop you from glamming up those eyes!